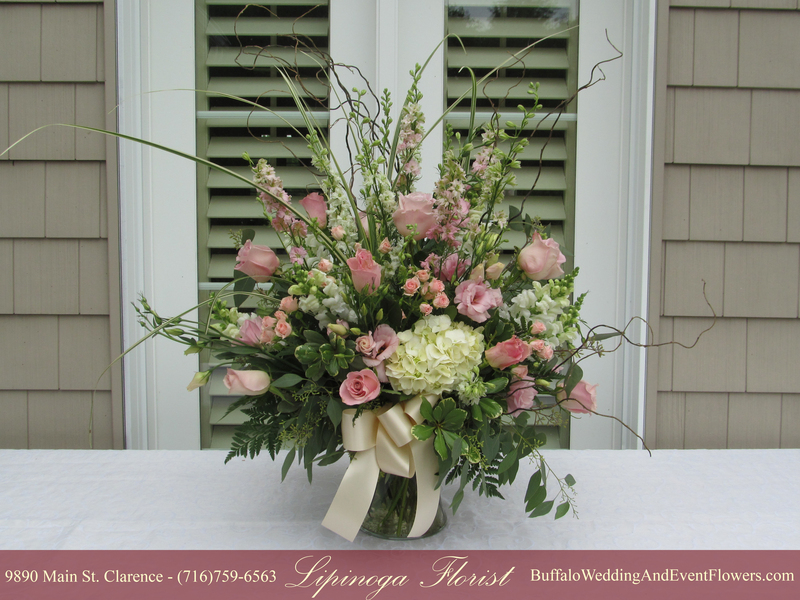 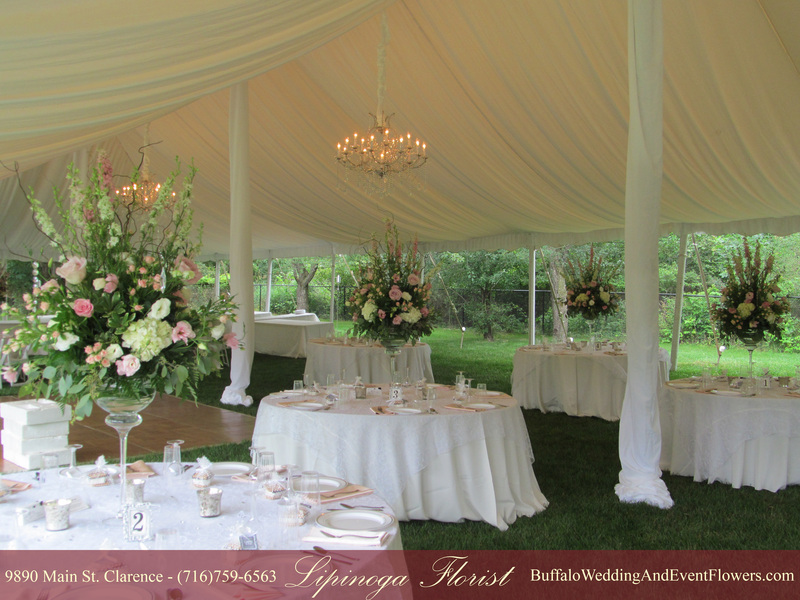 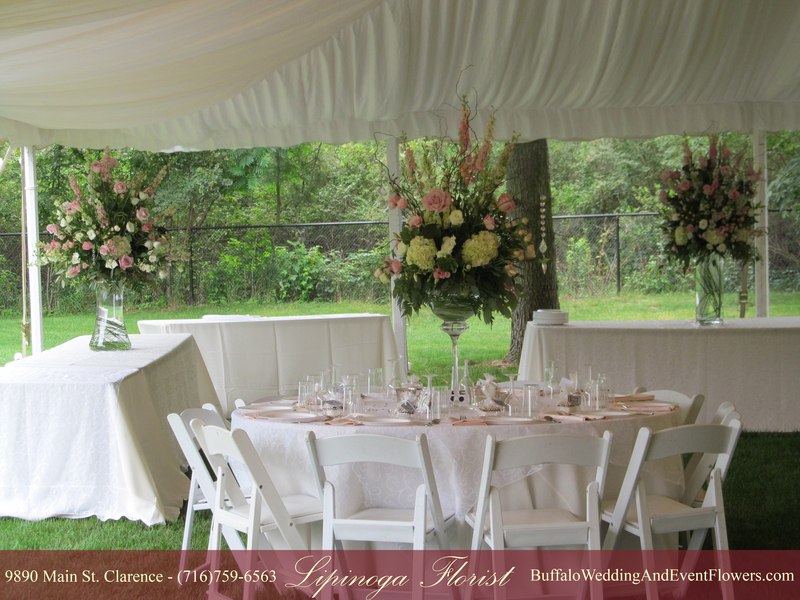 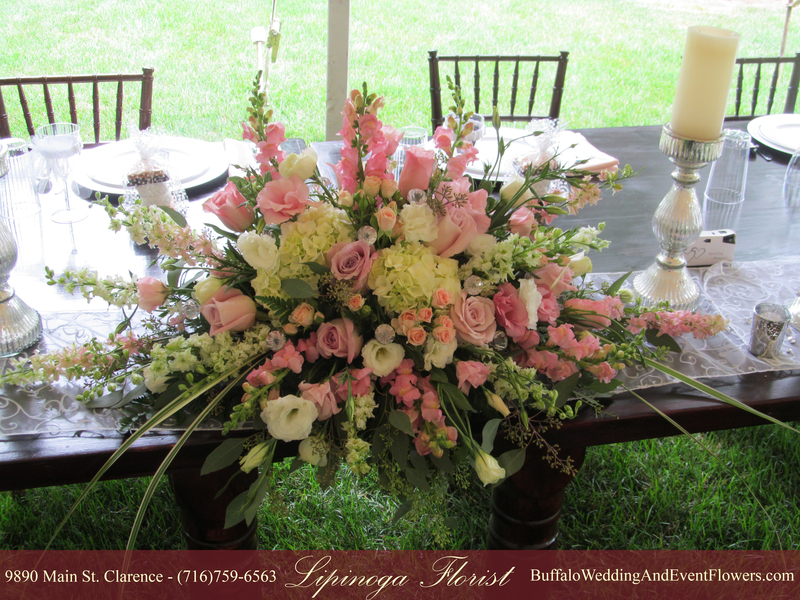 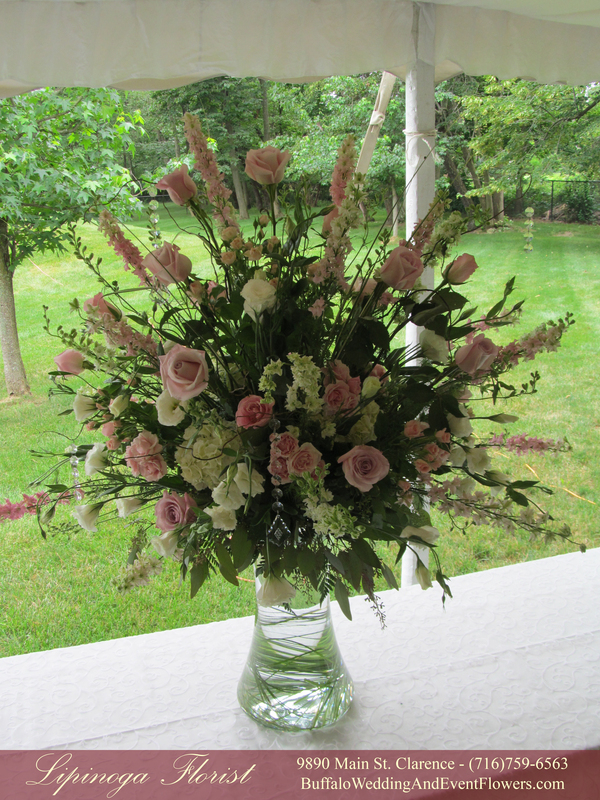 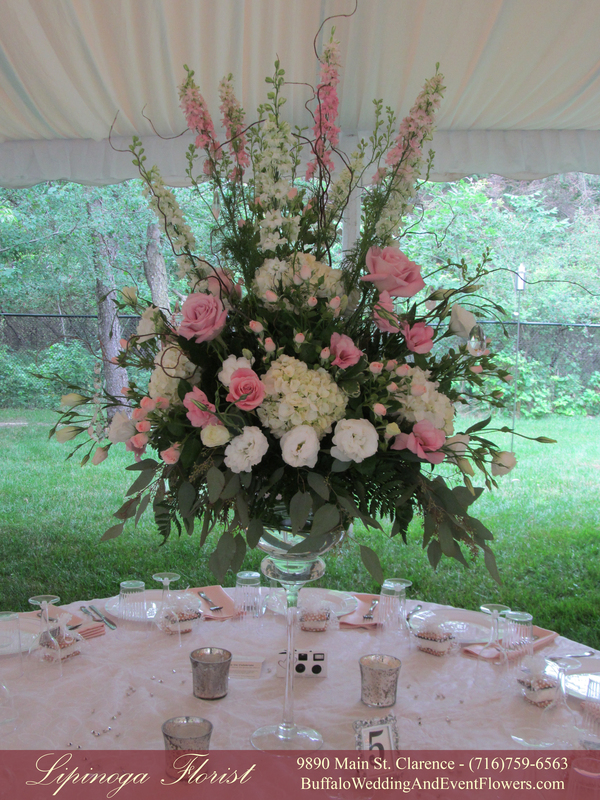 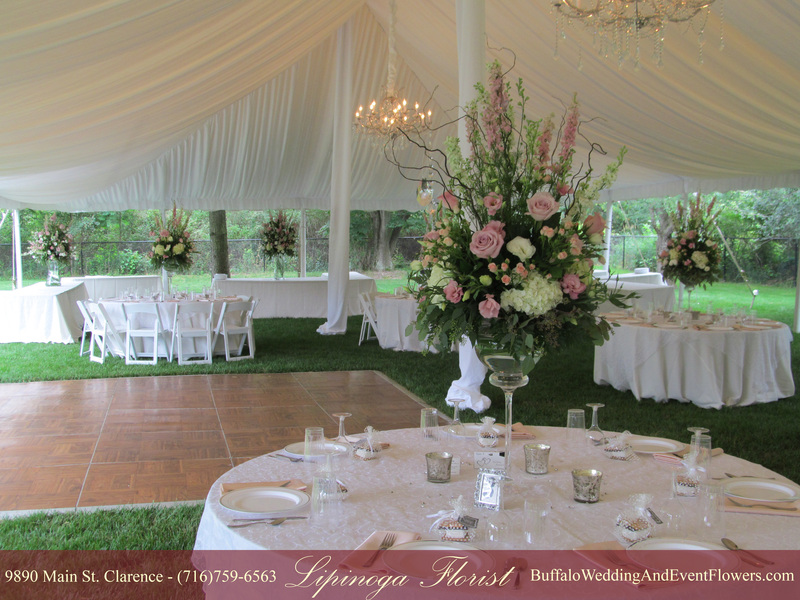 Flowers in shades of coral, peach and white created a fresh summertime setting for an outdoor wedding at Glen Oak in Amherst, NY. 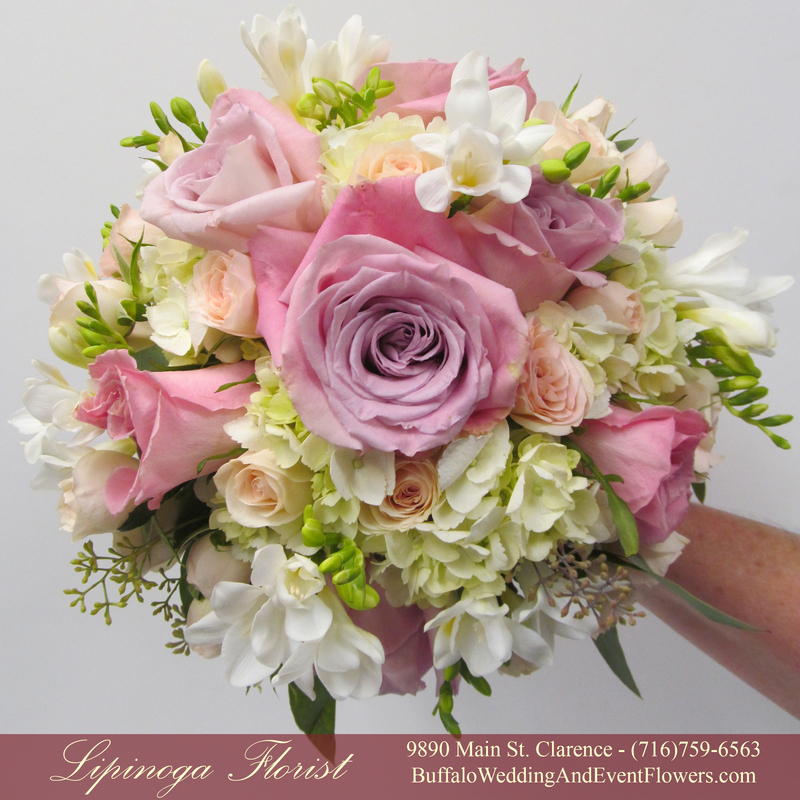 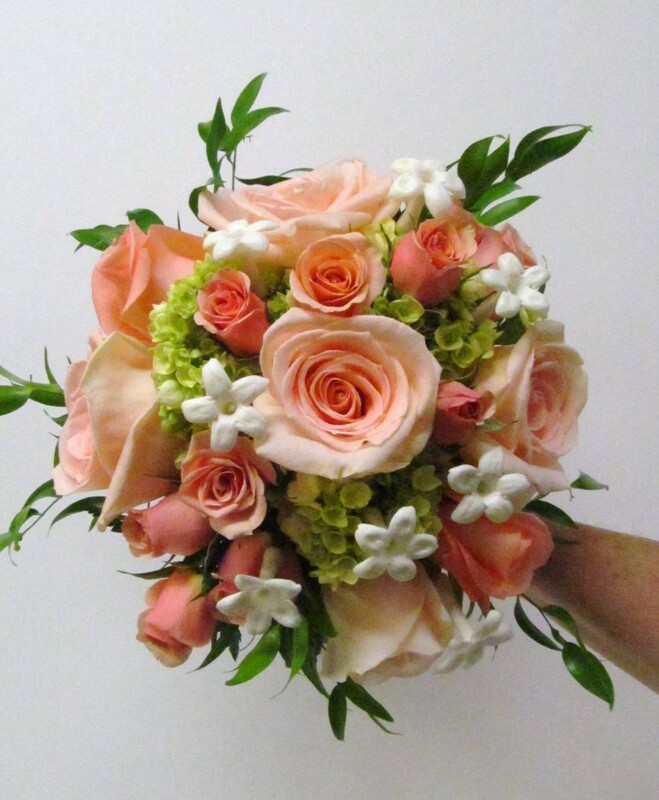 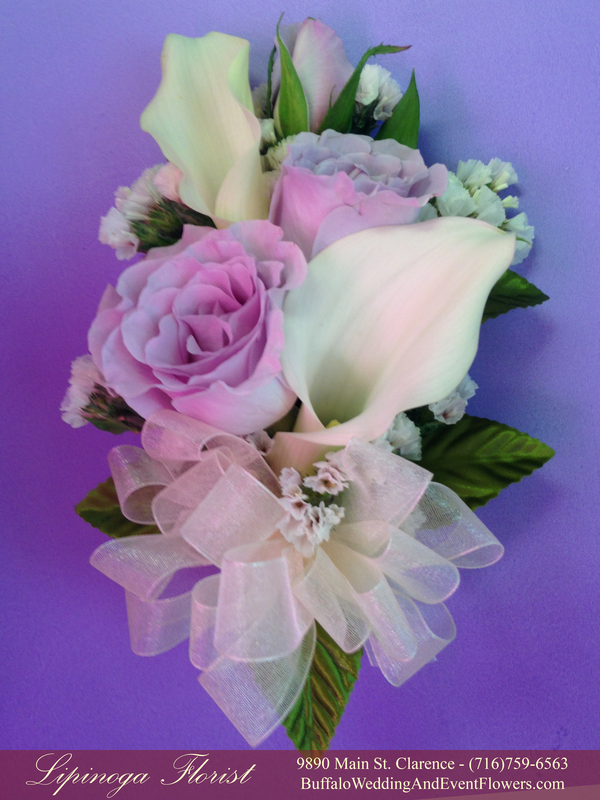 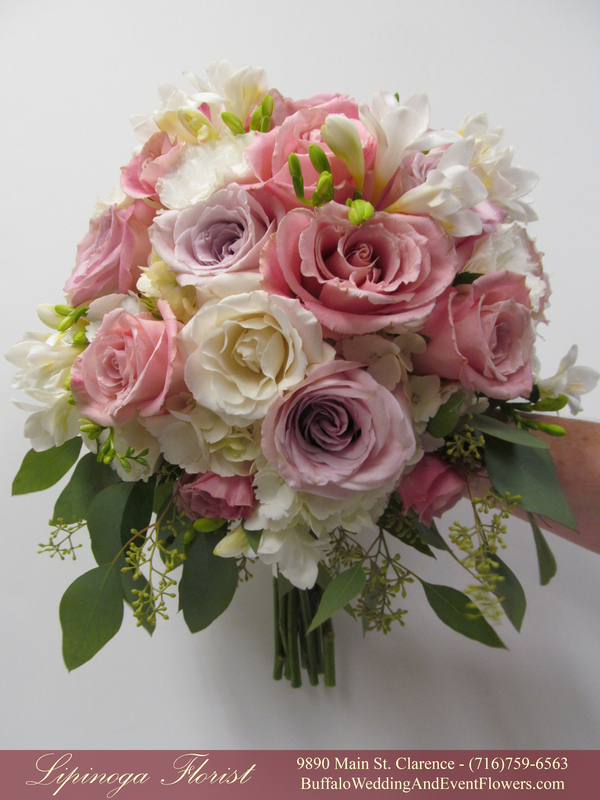 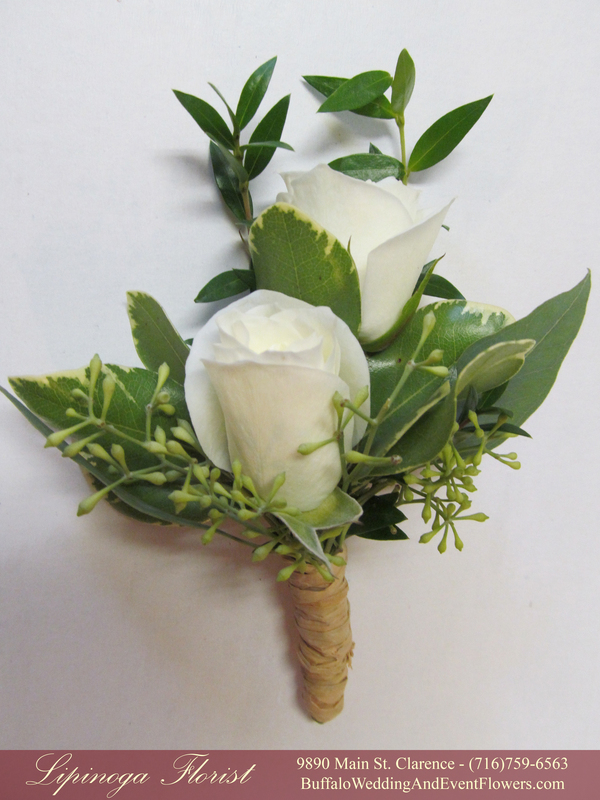 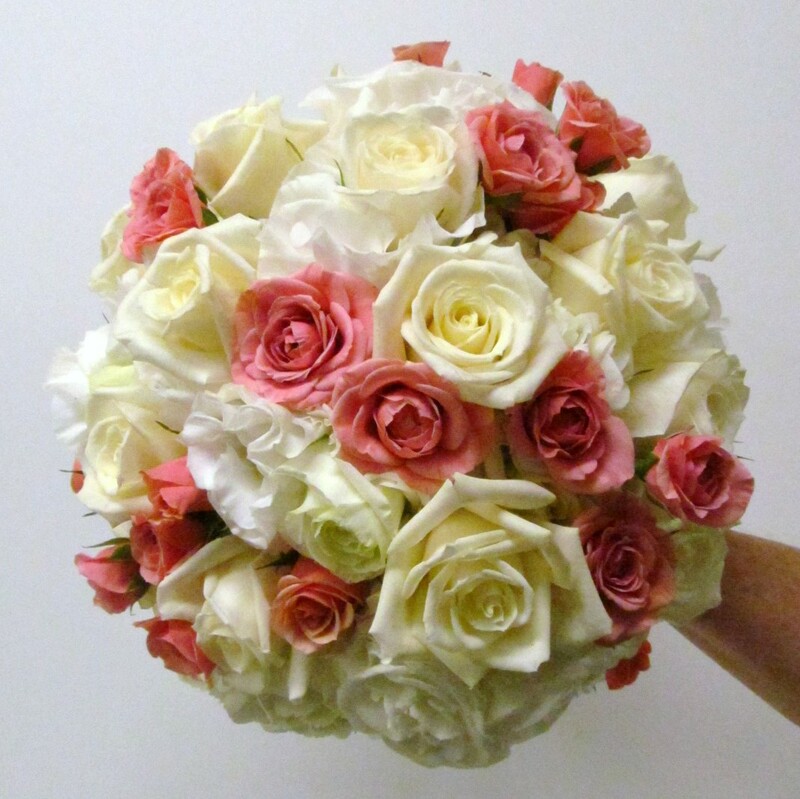 The bride carried a mostly white bouquet with a touch of coral, and the bridesmaids carried predominately peach bouquets with accents of white, green and coral. 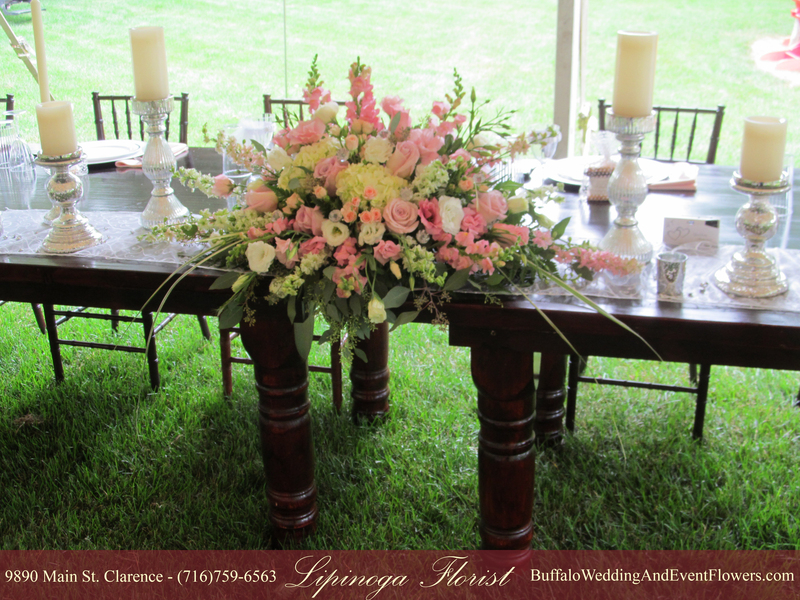 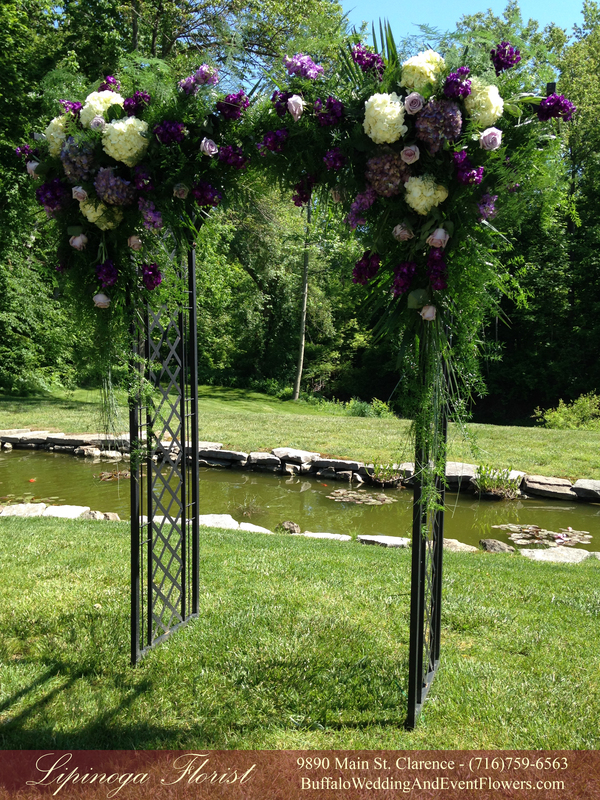 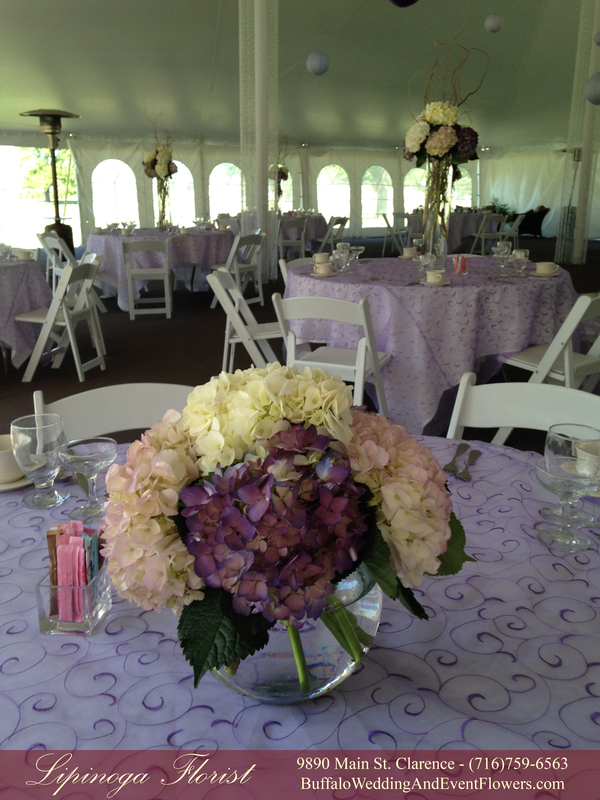 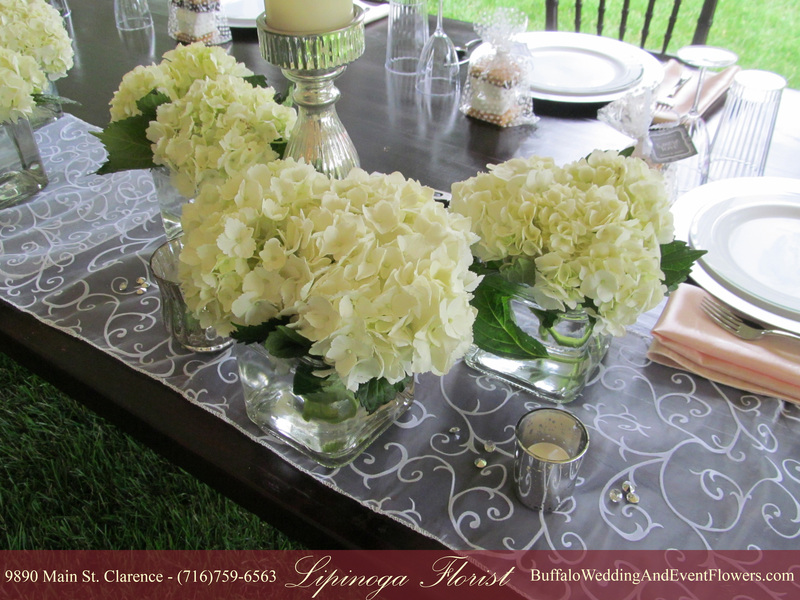 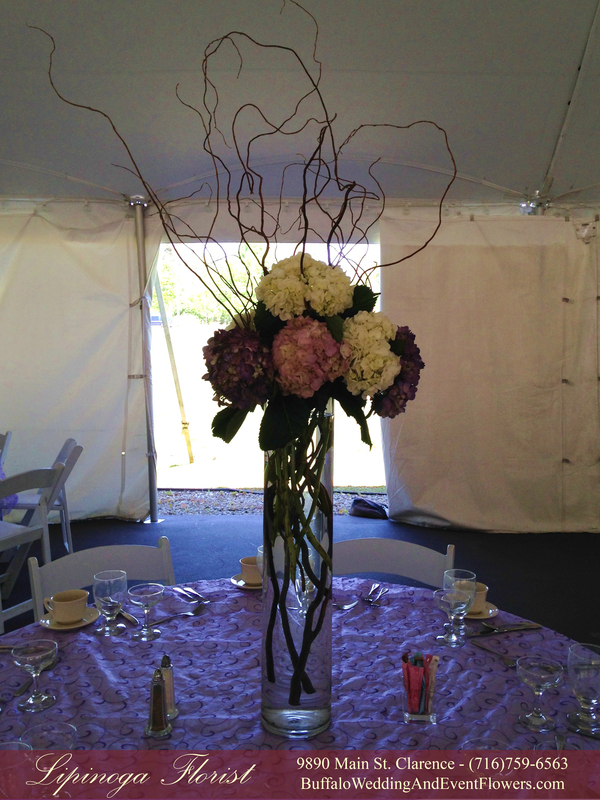 The sweetheart table was graced by an impressive arrangement including hydrangea, roses, snapdragons and bells of Ireland accented by greenery. 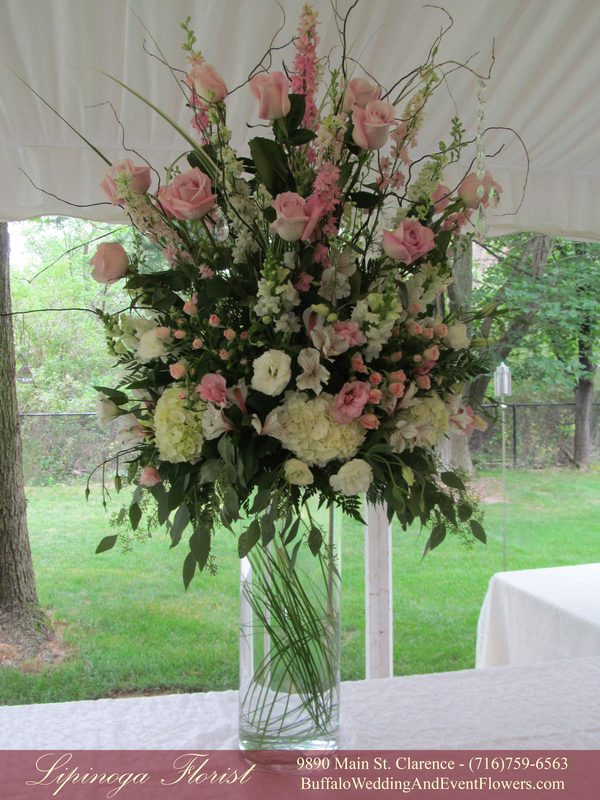 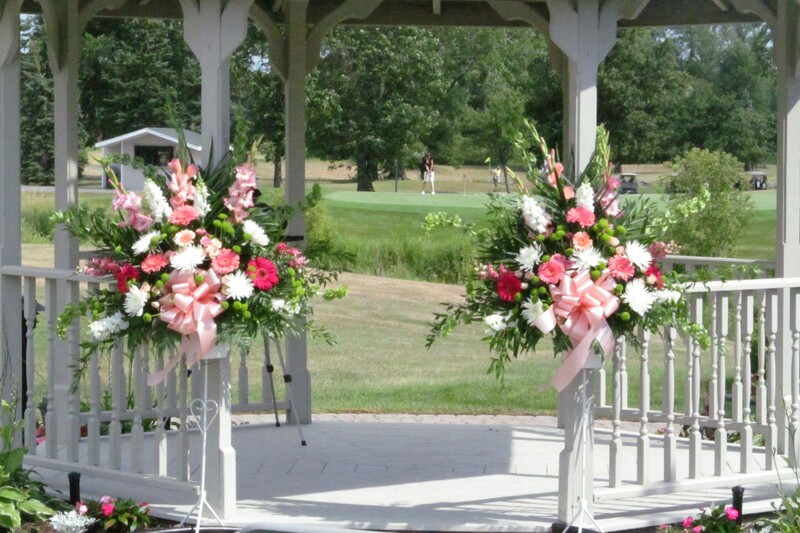 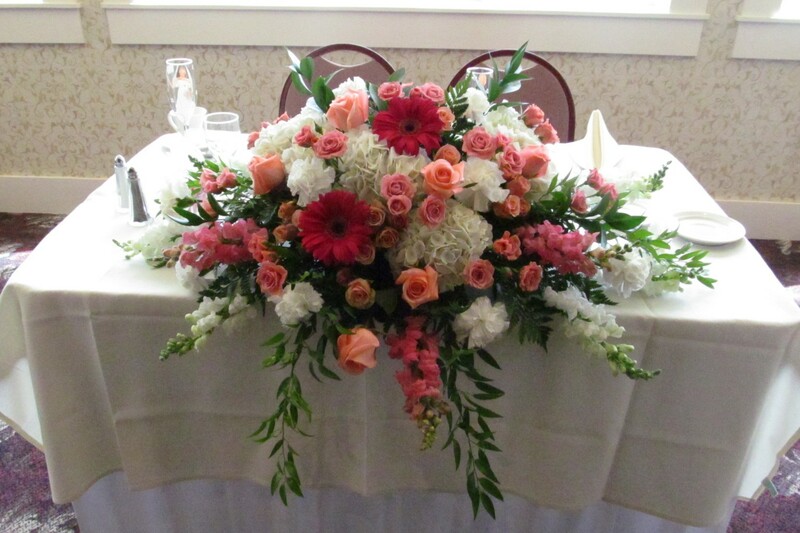 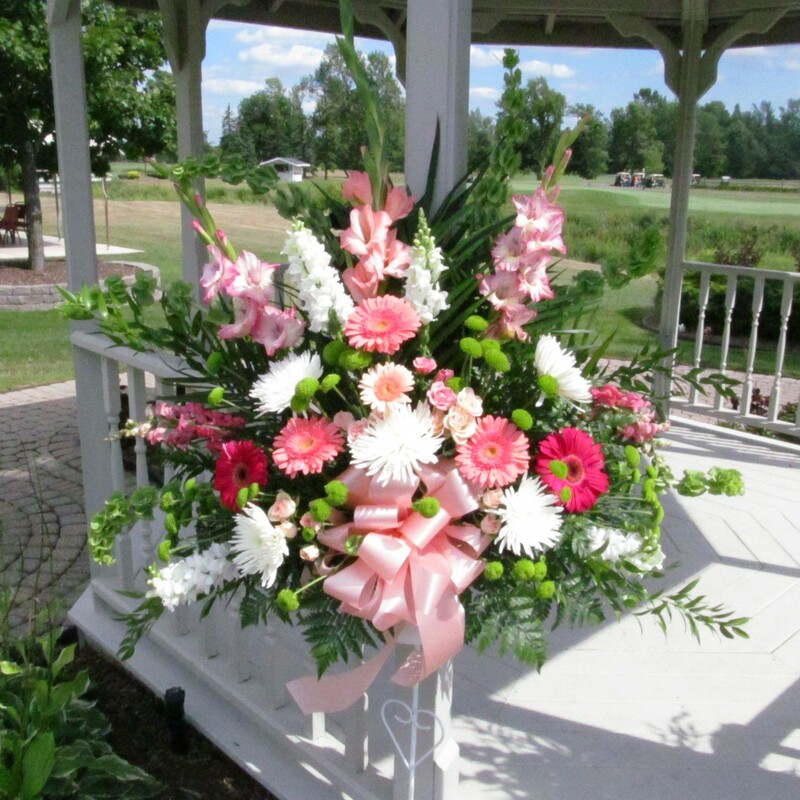 Two large arrangements in shades of coral and peach with a touch of green and white set on each side of the gazebo posts with the golf course in the background. 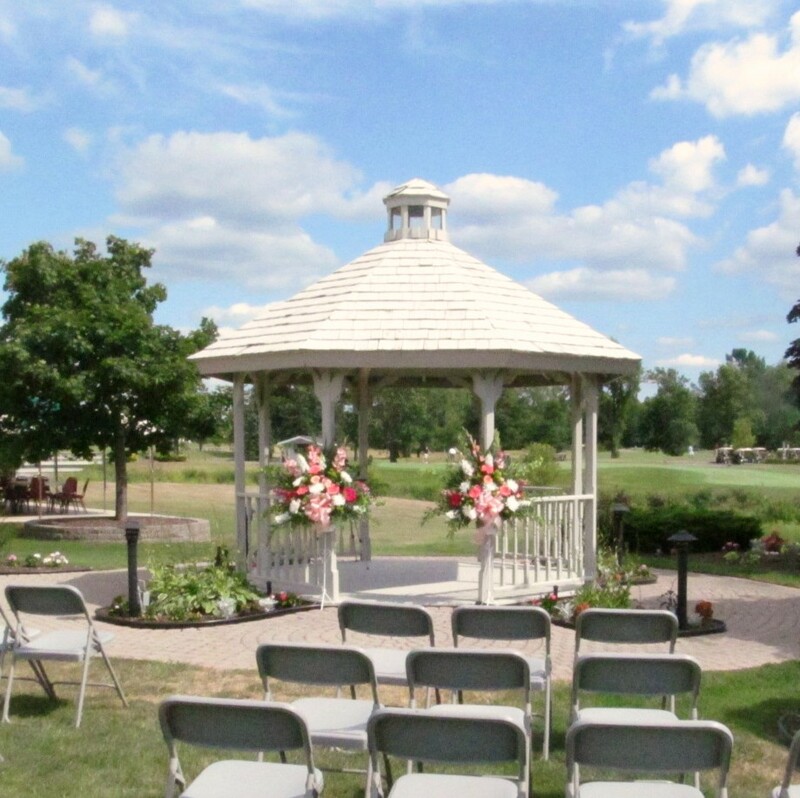 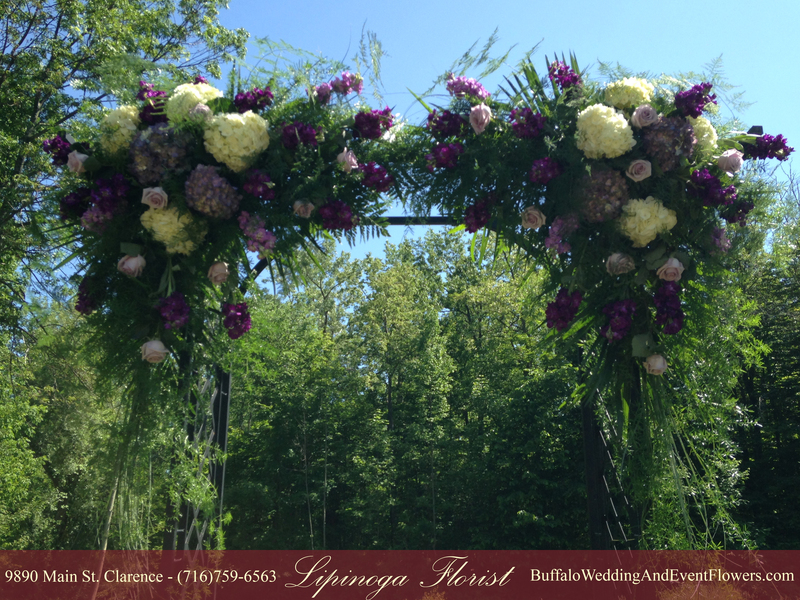 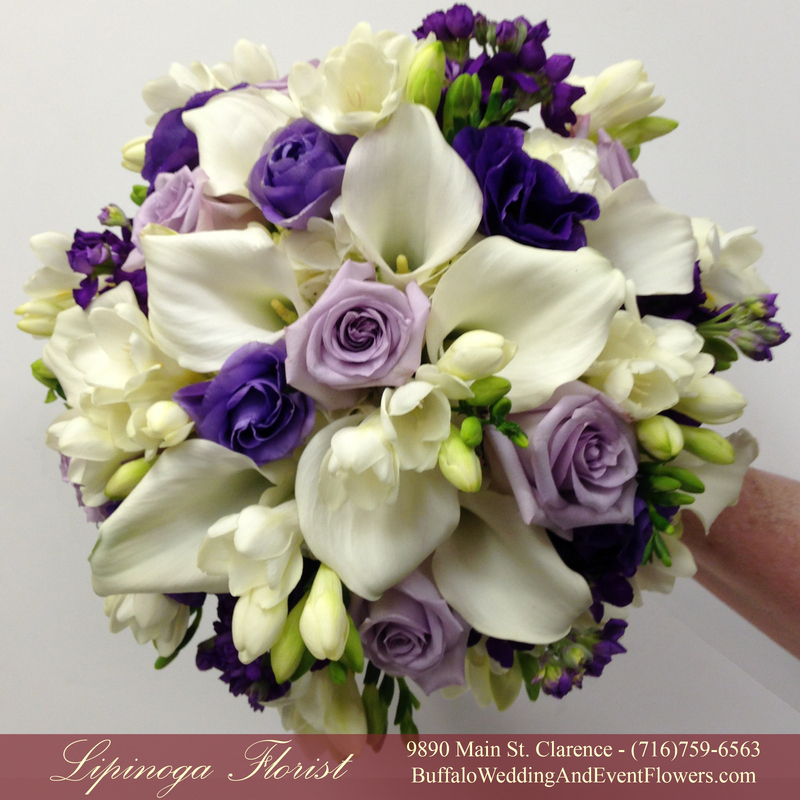 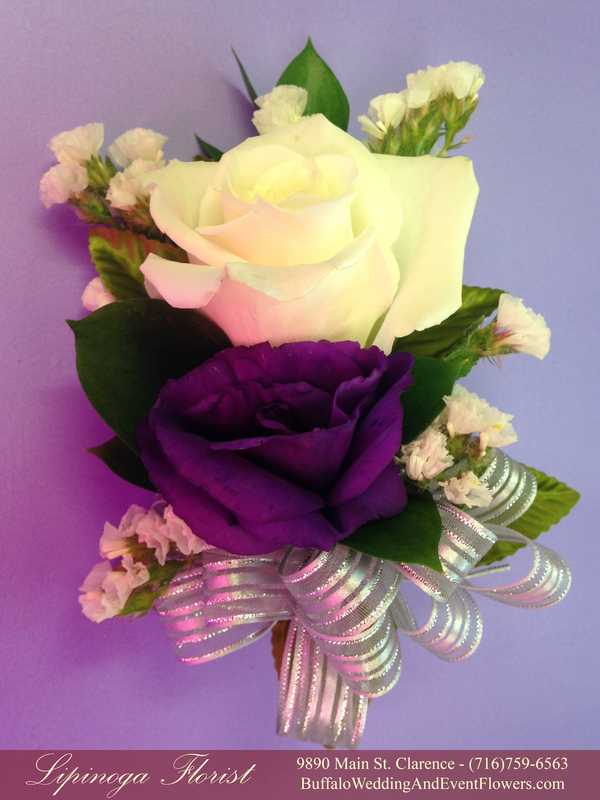 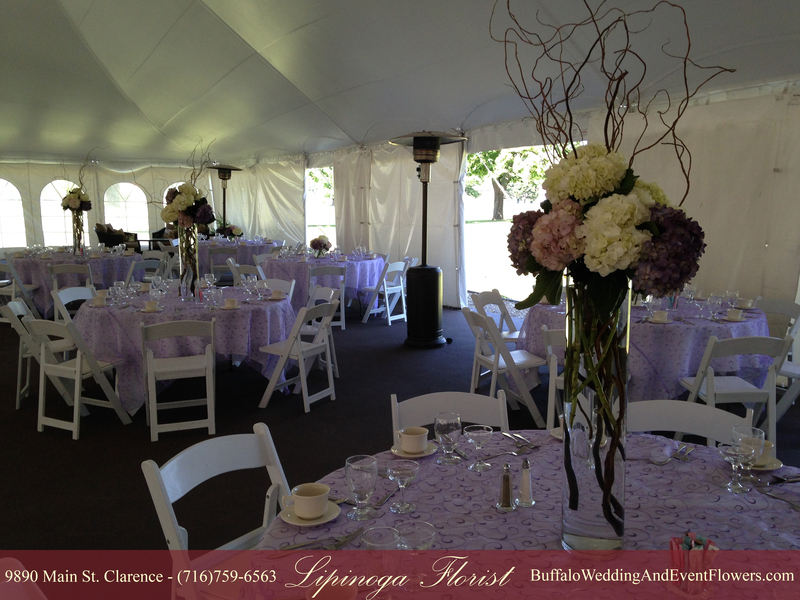 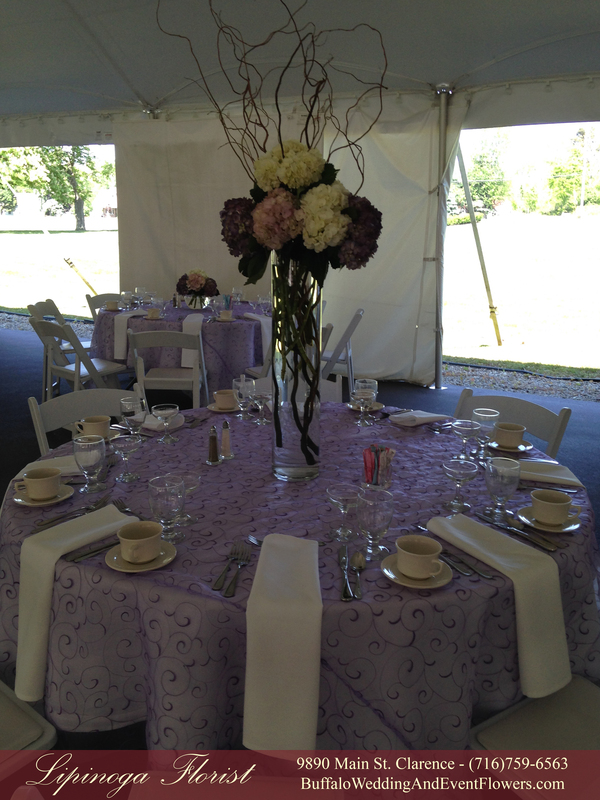 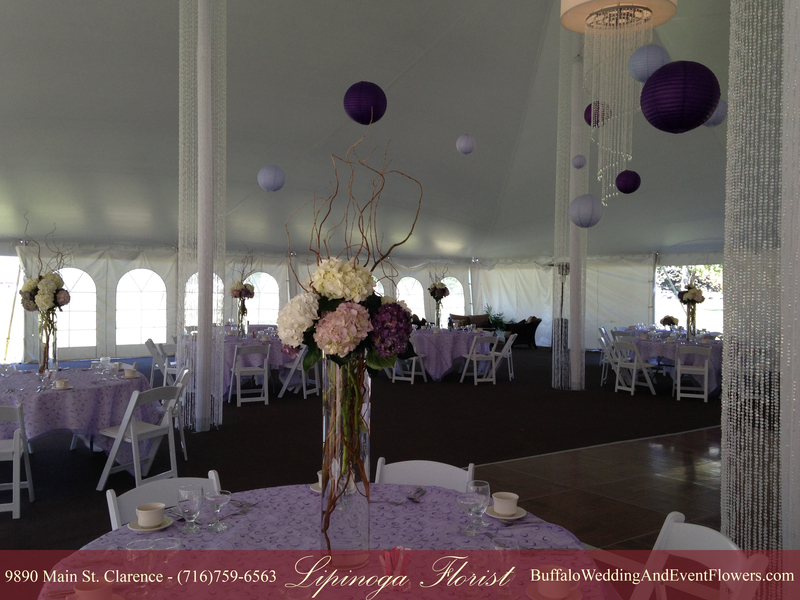 Outdoor Weddings in Buffalo are beautiful, and this bride was particularly fortunate to h ave blue skies with a lovely view of Glen Oak Golf Course.